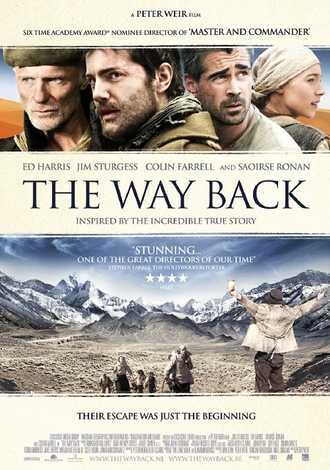 Brief Synopsis – A group of prisoners hatch a plan to escape from Siberia and make the trek to India and freedom. My Take on it – I have always been a fan of prison break films and was quite excited to see what this one was all about and it easily was chosen to be among my films in this series. Unfortunately, this film is presented really poorly and this happens to be one of most boring prison break films that I’ve seen. None of the characters are likable at all and that makes it extremely difficult to care about who will survive and who will not along the way. The pacing is super slow and nothing really happens as the story attempts to move along yet mostly feels as if it is standing still the entire time. The most unfortunate thing about this film is that it somehow got an extremely talented number of actors to join the cast even if they are unable to help make this film more interesting to watch. One would assume that the likes of Ed Harris, Jim Sturgess and Colin Farrell would help things, but they just make it sadder that it’s so boring even with them in it. The story jumps around too much and is too choppy which make sit even harder to try and follow what is going on and just makes the story even more unbearable and confusing since it’s so boring to watch. Bottom Line – Really boring prisoner of war escape film that does a terrible job giving us likable characters. The story moves at an extremely slow pace and it’s so hard to care about any of the characters or what will happen to any of them. The cast is quite talented, but even Harris, Sturgess and Farrell can’t help make this film any more bearable at all. The story also is too jumpy and that makes it extremely difficult to actually try and follow all that is transpiring because its so boring to watch. Wow, I’m really surprised you didn’t like this more. I loved this movie, especially the ending scene. Yes, it’s very slow, but I thought everyone gave a great performance.